Try a fun Halloween activity with your kids this year. You might be a teacher that needs a halloween math activity, a mom who is looking for a fun activity for their kids or maybe you are the room mom for your child’s class and you need activities for the Halloween Party. 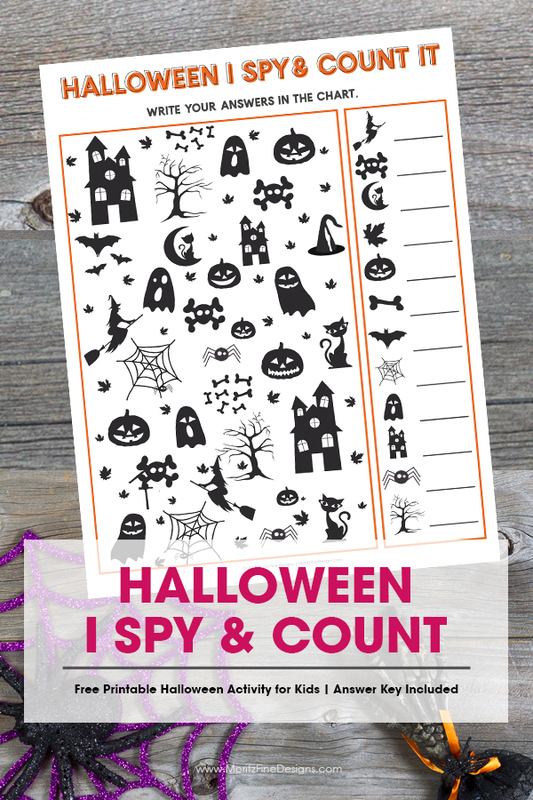 This simple “Halloween I Spy” game is super fun for kids–the best part is they are doing math and they don’t even know it! Make it even more fun and set a timer to see who can finish first. Remind your kids that even though it’s a race, accuracy counts. If they finish first, but have the wrong answers they get disqualified.